Cast of "What About Joan"
Joan was born in New York on October 11th, 1962, but was raised in Evanston, Illinois. Her dad was an actor, and Joan would follow in his footsteps along with siblings John, Bill and Ann. They trained at the Piven Theatre Workshop in Evanston from a very young age and grew up performing on stage. Her first big screen appearance came in My Bodyguard, about a bully who gets his payback. More of the same followed, including 1983's Class, which marked the debut of her little brother. In 1985, Joan was offered a spot on the Saturday Night Live roster. She took the job with anticipation, long having been a fan of sketch and improv comedy. While studying English at the University of Wisconsin, she had spent a lot her time performing with The Ark, the school's improv troupe. However, SNL did not end up being to her liking. She left after only one season. The move ended up being good for her career. Her time on the show had given her enough exposure to land a role in Broadcast News, playing supporting actress to Holly Hunter. Working Girl followed, where she played supporting actress to Melanie Griffith. The latter role earned Joan her first Oscar nomination for Best Supporting Actress. Joan was quickly building a solid reputation as being the actress to call if you needed a buddy' for your glamorous star. She filled her role for Michelle Pfeiffer in Married to the Mob, and for a host of other actresses. Cusack was finally offered a lead in Steve Martin's My Blue Heaven, but the experience proved trying for Joan, who did not get along with director Herbert Ross. After the whole ordeal was over, Cusack ended up being overshadowed by Martin's over-the-top comedy. Trying to put the whole experience behind her, Joan moved back home to Chicago. Fed up with L.A., she had to get back to her roots. In 1993, she married corporate attorney Richard Burke, and for the next few years concentrated on her marriage and starting a family. During this time, Joan barely appeared at the multiplex, making her personal life a priority. In 1997, Joan Cusack came roaring back. Content with her new life and still living in Chicago, she went about forging a comeback. First came Grosse Pointe Blank, in which she co-starred as the secretary of the hitman played by her brother John. That same year she appeared in In and Out as a fiancé who gets jilted at the altar when her groom realizes he's gay. Although the film was just fluffy fun, Cusack's role was felt to be so wonderful that she found herself once again nominated for a Best Supporting Actress Oscar. Since her return, Joan has found herself offered a greater variety of roles than the first time around. She continues to work with John whenever possible, and the two have a close relationship. They appeared together most recently in Cradle Will Rock and High Fidelity. Kyle Martin Chandler was born on September 17, 1965 in Buffalo, New York. He was raised in Chicago suburbs until the age of 11, when he and his family moved to the small town Loganville, Georgia. Kyle earned a bachelor's degree in theater from the University of Georgia in Athens, where he first landed the lead in their production of A Comedy of Errors. Because of this he met an ABC scout and was signed by him in a talent search in 1988. Kyle has worked steadily in television and most will remember him as the minor league ballplayer, Jeff Metcalf, in the 40's drama Homefront. It was his work there that lead to a role in George Strait's feature film, Pure Country, and a small part in the recent Mulholland Falls. Kyle worked on the TV Series, Early Edition, for CBS with co-star Fisher Stevens. Kyle and his wife, Katherine, a television writer, live in Los Angeles, CA with their daughter Sydney. She attended New York University for two years; but left when she was cast in the Broadway production of They're Playing Our Song, on an audition she only went to as a class assignment. At the age of 25, she took over the lead in the Broadway production of The Mystery of Edwin Drood when Betty Buckley left the show. Since then, she's starred in Off-Broadway's Birds of Paradise, Privates on Parade, Song of Singapore, and Hello Again. Donna won her first Tony Award in 1994 for creating the role of Fosca in the Sondheim and Lapine musical Passion. She won her second Tony in 1996 for playing Anna Leonowens in Rodgers and Hammerstein's The King and I. That same year, she got a Drama Desk nomination for James Lapine's Twelve Dreams, in which she played the uncooperative patient Dorothy Trowbridge. She has appeared on television in "Passion," "A Table at Ciro's," "Someone Had to Be Benny," "Remember WENN," and was a regular on "Murder One," as Francesca Cross. And she's been married to actor-singer Shawn Elliott since 1990 and has a stepdaughter, Justine. Jessica Hecht had roles in Friends, Early Edition, Life on the Street, Law & Order - Special Victims Unit, Seinfeld, on The Single Guy. She has appeared for five seasons as Susan on Friends and starred on The Single Guy regular 1995-96. Her other television performances include Seinfeld, Party of Five, Early Edition, and Homicide. 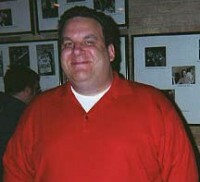 Hecht's feature film credits include Jump, Joe's Rotten World, and Kicking and Screaming. Hecht made her Broadway debut in The Last Night of Ballyhoo. She has also been seen on stage in the world premiere of Stop Kiss, Lobster Alice, and Plunge, and toured the country in The Heidi Chronicles. Jessica Hecht was born in 1964.She grew up in Bloomfield, Connecticut in a family of psychiatrists and psychotherapists. She lives in New York with her husband and daughter. Langham, who was an only child, grew up in Los Angeles, where his mother was a costume designer on the variety series "Donnie and Marie." He became interested in acting at a young age and took his first acting class when he was 10. At 13, he appeared in his first commercial, for an English brand of yogurt. Upon graduation from high school, he enrolled in Los Angeles City College to study business, and he later transferred to California State University at Northridge. When Langham won a role in the feature film "Weird Science," however, he put his degree on hold. He went on to make numerous television guest appearances, including a memorable turn as a departing surgical resident on NBCs "ER." He also guest-starred on "Madman of the People," Daves World," WIOU," "The Tracey Ullman Show," "Murphy Brown" and "NewsRadio." Langham has appeared in a number of feature films, including "The Chocolate War", "Soul Man" and" Vital Signs." He was most recently seen opposite John Travolta and Bob Hoskins in the hit "Michael." 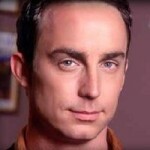 For five years, Wallace Langham has played Phil, the acerbic writer, on the Emmy Award-winning series "The Larry Sanders Show." Furthermore he played a role on "Veronicas Closet" as Josh, the personally confused but professionally efficient assistant to Ronnie (Kirstie Alley). Langham lives in Los Angeles, and he is the proud father of two young children. His birthday is March 11. Kellie Shanygne Williams launched her career at age 6 in a play called "Cousins." 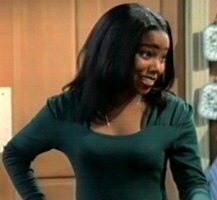 Since then, she's amassed an impressive list of theater credits, including "Joe Turner's Come and Gone," Butterfinger's Angel," "Colored Museum," "Goin' Home" and "The Bacchae,"
Williams' television credits include "Celebration in Honor of Dr. Martin Luther King, Jr.," "Luther's Choice" and "Moesha." She made her feature film debut in "Suspect," which starred Cher and Dennis Quaid. She also appeared in "Men Don't Leave" with Jessica Lange. Williams enjoys singing, dancing and roller skating. She was born in Washington, D.C., on March 22. From 1989-1998 Kellie was Laura Winslow on the Sitcom "Family Matters" her most popular role. In college, Garlin studied filmmaking and began performing stand-up comedy. He has toured the country performing and has written and starred in three critically successful one-man shows. His substantial stand-up experience includes Late Show With David Letterman, recurring appearances on Late Night With Conan O'Brien, comedy specials on HBO, and The Daily Show With Jon Stewart. His regional theater credits include Concentrated, That Jeff Garlin Thing, Uncomplicated, and I Want Someone to Eat Cheese With. His extensive training includes the prestigious Piven Theater in Evansville, Illinois, The Acting Studio in New York, and Second City in Chicago. Garlin was born and raised in Chicago. He currently resides in Los Angeles with his wife and kids.